Sea Sonic Electronics Co., Ltd was founded more than 40 years ago by engineers. Since its early beginnings the company has rigorously maintained its focus on the research, development and production of technologically advanced, high quality products. In 1981 Sea Sonic expanded into the production of PC power supplies to become one of the first manufacturers in this market. Soon after, the manufacturing of high quality and performance PC power supplies became the core identity of Sea Sonic. As a leader in innovation, our company’s main focus is to bring the latest technology at the best possible value to all our customers, who require cutting-edge features combined with market leading performance and total reliability. The strong competition in the IT industry gives us constant challenges, which strengthen our resolve to become and stay the best. This is our obligation to ourselves and to all our customers. 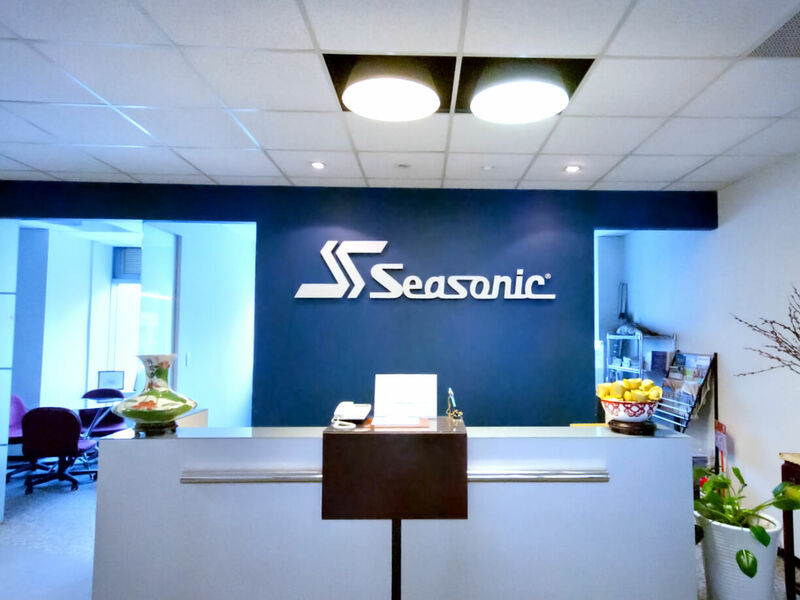 Since the establishment of Sea Sonic, continuous design improvements and advancements in production technology have inevitably led to the establishment of the Seasonic brand name. Today the Seasonic name is the equivalent of high performance, excellence and reliability. Our design and engineering team is passionate about creating new solutions that reply to the needs of our customers and connect to the latest market trends. Sea Sonic is a truly global company. Headquartered in Taipei, Taiwan, we export our products from our factory in China to our offices in the USA, Europe, as well as to other parts of the world. Independent testers, reviewers and editors writing in all languages consistently rank Seasonic products among the best in terms of technology, performance and reliability. We regularly receive enthusiastic feedback from PC fans, over-clockers and gamers from every corner of the globe, which further fuels our commitment to keep searching for excellence in the international arena. Since the incorporation of Sea Sonic Electronics Co., Ltd. in 1975, we have maintained our focus on the research, development, and production of high quality power conversion products. During the past decades Sea Sonic has emerged as an industry leader in innovation to provide cutting edge technology in the manufacturing of power supplies. Our mission is to continue to provide timely and professional solutions to meet the IT industry’s requirements and at the same time keep developing flexible solutions in the retail market segment. We continuously seek to create true customer satisfaction by ensuring that all Seasonic partners and end-users worldwide receive the highest quality of service. We, at Sea Sonic, strive to develop long term, reliable relationships with business partners who value our products and share our vision, goals and philosophy. We are committed to deliver products with the highest standards of excellence and provide global support for our partners who require advanced solutions. Together with our valued partners we are able to meet the precise needs of the various markets and industries around the world.